The #noVRNoBuy hashtag has become somewhat of a trending topic on Twitter, and often we have seen this hashtag targeting Codemasters who had no plans supporting VR in their upcoming rally title. Via their official social media channels, Codemasters have now confirmed that the upcoming DiRT Rally 2.0 title will eventually support the Oculus Rift VR headset. While there is no exact date confirmed, the post states that Oculus VR support is now scheduled for “the summer”. While this is undoubtedly great news for Oculus Rift owners, the post will probably generate some discussions about the fact that no HTC Vive or PSVR support is mentioned. Be prepared for some #noHTCNoBuy or #noPSVRNoBuy hashtags. Yours truly was slightly surprised to see Codemasters change their views on the matter. 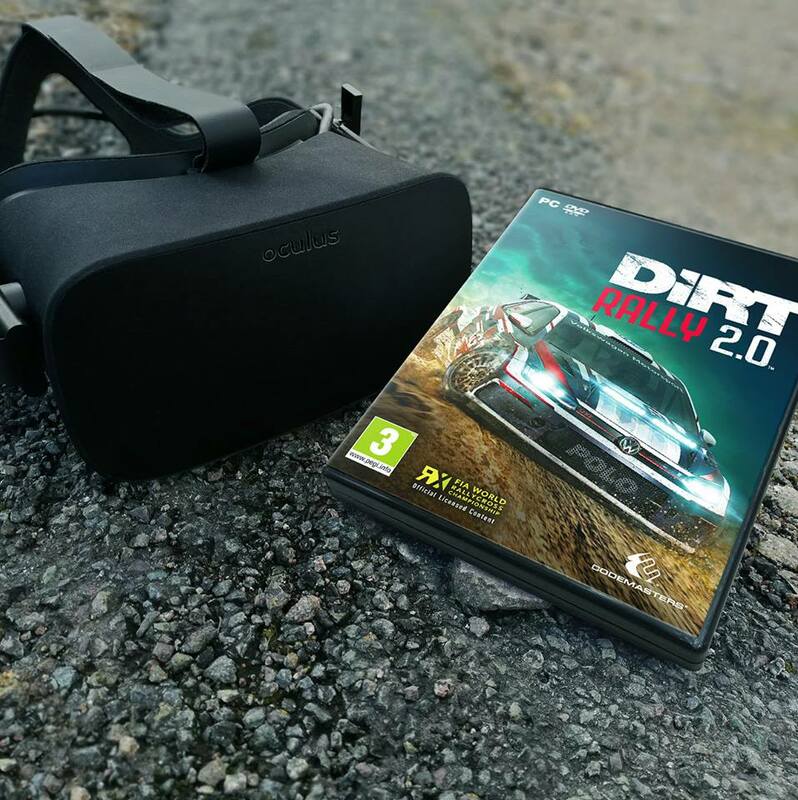 Even as an Oculus Rift user myself, I am sure the global VR community is a lot smaller than the #NoVRNoBuy hype might want you to believe, and I honestly doubt that it would have a serious impact on the sales of a multi-platform release such as DiRT Rally 2.0. However, the actual reason for this surprising decision might lay elsewhere. The Tweet stated “We heard you. @Oculus heard you” which might indicate that Oculus has put some commercial or financial support into the franchise. Of course, this is pure speculation on my behalf.